The British Gazette » Brexit: A “real world” Kobayashi Maru. 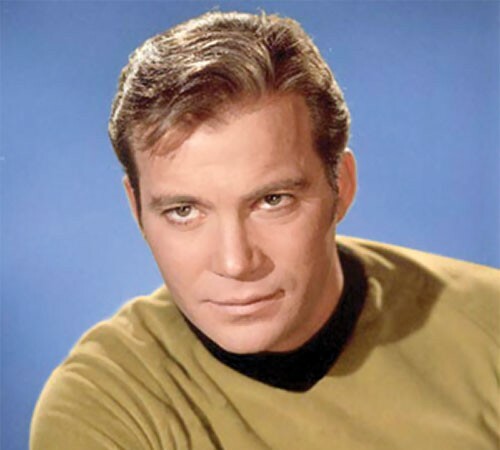 Above, Captain James T. [Tiberius] “Jim” Kirk played by the Canadian actor, William Shatner. There is a certain intellectual snobbishness about culture. If one mentions how attending Giacomo Puccini’s “La Bohème” at the Royal Opera House or The Royal Shakespeare Company’s production of Hamlet in Stratford-upon-Avon influenced or affected one, there is conveyed a certain recognition of status in terms of educational attainment and/or social class. One imagines that Hyacinth Bucket – sorry, “Bouquet” – from “Keeping Up Appearances” would approve. However, Mrs Bucket would not attach anything like the cachet to a person, probably one of her nephews, going to see the latest Star Trek movie. Between Saturday 12th July 1969 and Wednesday 15th December 1971 the BBC broadcast the US (CBS) Star Trek series. It was not shown in airdate or production order and the BBC edited some episodes for violent content. Thus, when in 1982 the US movie, “Star Trek II: The Wrath of Khan” came to these shores, 1 Corinthians 13 Verse 11 (When I was a child….) notwithstanding, I went to see it. Suffice it to say, “The Kobayashi Maru” was a training exercise that was a “no win situation” and was a test of character. Of Brexit, it can truly be said that it is “The Kobayashi Maru” of British politics. Enacting, attempting to enact or retreating from Brexit will, to the politicians in government all have the same result: Defeat at the polls and political death. The ONLY variables is the extent and measure of the defeat and the metaphorical brutality of the manner of the death! Of course the last prime minister but one, David Chameleon realised this in the wee small hours of Midsummer’s Day 2016 and consequently a few hours later, most publicly fell upon his sword outside the steps of Number 10 to an audience of the world’s press and his good lady Samantha who most prettily shed a suitable tear. The Chameleon happily handed this most poisonous of chalices to his successor, the Unfortunate Madame Mayhem! And now, facing her activists at the annual Tory conference is wondering how she can do two things: 1. Drink the poison and 2. Survive! The answer, Dear Lady of course is that you cannot! Drink of the chalice and for you it is the act of clasping of the asp to your bosom. Of course, if she hands the poison to Boris the Buffoon she escapes some of the opprobrium but then there will still be a Tory holding the chalice. Were she “to walk” then Boris would likely step in. Finding himself Prime Minister he will be faced with the same dilemma! The now Unfortunate Buffoon will find that the chalice he has been handed has an extra portion of hemlock courtesy to our friends in Brussels. You see, not for nothing have “les collègues” conspired to demand the three most intractable issues to be dealt with before moving on to “stage two”. These are of course the money they want from the UK; citizens rights and the jurisdiction of the ECJ thereof and last but by no means least, Ireland. 1. “La transition” (aka Purgatory) EEA+Customs Union with ECJ jurisdiction. 2. EFTA+EEA with EFTA jurisdiction. 3. The “Promised Land” (after two or three decades). For the transition, the Buffoon insists that it should be for a period not one second longer than two years. The British Gazette agrees, but on the basis that the UK’s stay in Purgatory is to conclude the arrangements for the customs infrastructure for leaving the EU’s Customs Union and entering EFTA (whilst remaining in the EEA). The Buffoon’s (or Madame’s) problem is contained in Ireland. There has to be no border between the republic and the province. This means that the ONLY solution to this is for Northern Ireland to remain in “La transition” (aka Purgatory) EEA+Customs Union with ECJ jurisdiction for as long as the republic remains in the EU! This is NOT acceptable to the DUP! So, were he to find himself with the keys to Number 10, what should the Unfortunate Buffoon do? Verily, this is a “real world” Kobayashi Maru! And the Unfortunate Buffoon is NOT James Tiberius Kirk! So in this Mother of all no win scenarios, what can he possibly do? My Right Honourable friend, the Member for Maidenhead was right in her judgement to call the election. This is why I am going to repeat her actions and will ask that this house vote for a dissolution and in effect, yet another election. Given the state of the polls, it is likely that the Buffoon will have managed to pass the poison chalice to the newly Unfortunate Comrade Corbyn without having to put it to his lips! The Unfortunate Comrade Corbyn will soon discover that Brexit is as much a poison chalice to his lips as they would have been to the Buffoon’s! After five years of Comrade Corbyn the UK MIGHT be out of the EU, possessing even greater debts than it did before and still inside the EEA and possibly still inside the Purgatory that is the Customs Union and ECJ jurisdiction! The people will be crying out for relief!